Book Review: A Trayvon of another time…. Author and UCLA historian Brenda Stevenson had no way of knowing that her new book, The Contested Murder of Latasha Harlins: Justice Gender and the Origins of the L.A. Riots, would be so tragically timely. The headlines she dissects could have been written about the murder of Trayvon Martin in Florida – but this innocent teen was gunned down more than two decades ago in a corner store in Compton. 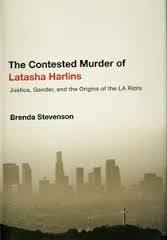 Brenda Stevenson, The Contested Murder of Latasha Harlins: Justice Gender and the Origins of the L.A. Riots, New York: Oxford University Press, 2013. The unarmed African American teenager was shot and killed. The shooter, claiming self-defense, served not one minute of jail time. This might have been last month’s headline about the verdict in the Trayvon Martin murder case in Florida. It actually happened more than two decades ago, across the country in Los Angeles. Categories: Books, Race, Southern California | Permalink. UC Berkeley Graduate School of Journalism; RSVP suggested. The book examines the FBI’s covert operations concerning UC during the Cold War, and its activities regarding Clark Kerr, Mario Savio and Ronald Reagan. The book was on the S.F. Chronicle best seller list, and on the New York Times extended best seller list. Categories: Bay Area, Books, Education, Events, History, Northern California, Politics | Permalink. For those of you in the SF Bay Area, this is an event you won’t want to miss! It’s FREE and open to the public! Join Stan Yogi and Elaine Elinson, co-authors of Wherever There’s a Fight: How Runaway Slaves, Suffragists, Immigrants, Strikers and Poets Shaped Civil Liberties in California, 2010 Gold Medal winner in the California Book Awards. 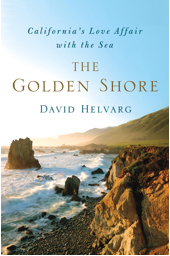 Wherever There’s a Fight captures the sweeping story of how freedom and equality have grown in California, from the gold rush right up to the precarious post-9/11 era. It connects the experiences of early Chinese immigrants subjected to discriminatory laws and expulsion to those of African Americans who challenged the color bar on San Francisco Streetcars and workers who fought for union contracts on the docks and in the fields. With vivid, illustrated stories, the authors will take you on a tour of key civil liberties sites in San Francisco – places you may have passed every day without realizing the hidden history they hold. They will also share some treasures they found in the archives of the California Historical Society. For more information visit the California Historical Society. Categories: Bay Area, Books, Events | Permalink.